All tracks are produced by Duke Reid and apart from two tracks, (Inez & The Clock) fairly common and available on other compilations. 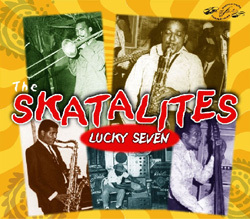 However, a good collection for those that my be new to the Skatalites. One or two tracks appear to be alterative takes but no information is given. This is a double CD issued on UK Proper Records. PVCD109.